Discussion in 'Lexus Lounge' started by krew, Mar 10, 2017. Origami cats, Matt Farah, and the LS 430 feature in this week's videos. LexusTechSA and Den like this. Great in-depth review of 2017 CT from Savage Geese. And a requested video on how much my IS costs to maintain. One of my favourite ads by Lexus of recent times is one entitled "To Err is Human". I love its concept and execution. Den, krew and meth.ix like this. Wow, the LS 430 was so ahead of its time. "We gave it a powerful V8 engine that is so efficient that in some cities the air coming out is cleaner than the air coming in"
I would imagine it to be true, though marginal. 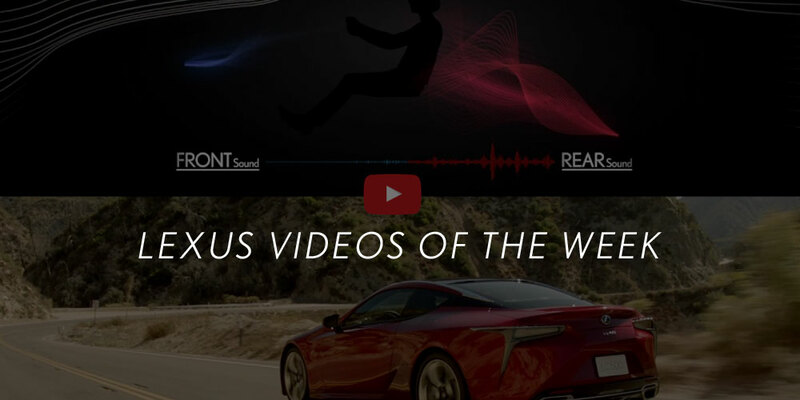 The LC coupe sound, vehicle ballet, and Transformers are on this week's video playlist. Andyl, krew and corradoMR2 like this. The sound of the LC is getting me anxious to take my F out - 4 months in the garage is L O N G !! Dances of F, very good marketing video. RC GS LFA, LC and ? LF-LC? not sure what are the models with the large spoilers. whatever the case, that is the kind of video add that would work well over here in USA. Incredible driving skills in the Dance of F video! Cannot wait for them to make a second version when the F Car lineup is complete! Thanks Krew for collecting these nice videos in one post. And for the new Transformer video trailer, they made a good choice of using RXs. The front facia of RX reminds of transformers. RX looks futuristic. For anyone who wants to see the 1 second appearance of RXs, stop at 0.32. Baccarat crystal, nostalgia, and an amazing NX restoration are this week's featured videos. Im usually a fan of the Lexus ads but this one...the crystals are cool, music was cool, everything was satisfying up until the drift spinning in place...I don't know it was just too much drifting. Love the Lexus performance commercial.